BEAUTIFUL, JIM BRANDENBURG FINE ART PRINTS PERSONALLY SELECTED BY THE BRANDENBURGS! Available NOW for online purchase prior to the evening programs. Purchased items will be conveniently available for pick-up on the evening of the performance. A priceless opportunity to have Jim Brandenburg sign the print for you and take a photo with you at the Arboretum's evening program on October 12 or 13! with eggshell color Matting total size is 18" x 24"
Profesionally matted by the Brandenburg Gallery, whose standard matting is done in-house using 4-ply rag mat conservation board. Printed by the Brandenburg Gallery on premium Luster Photographic Paper. This lightly textured photo paper offers excellent color reproduction and true photographic appearance. The Brandenburg Gallery is dedicated to producing fine art prints of the highest quality. With careful media selection and handling and acute attention to detail and color, each of our prints is produced and inspected in our studio and individually hand-signed. Using professional fine-art photographic printers, archival pigment inks, and the archival print media listed below, our process produces beautiful prints with refined accuracy and exceptional print permanence ratings. This is the only print of this kind available for sale at the Arboretum! This print is available for pick-up only on the night of the Jim Brandenburg/Michael Monroe performance, either October 12 or 13, 2016. It will be held for you under your name at the Arboretum Gift & Garden Store. 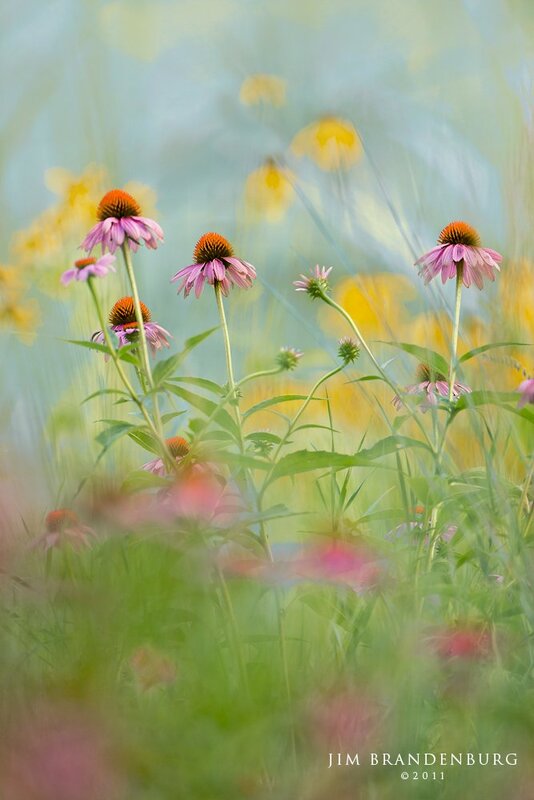 The Minnesota Landscape Arboretum is grateful to Jim and Judy Brandenburg for their generous donation of this print to benefit Arboretum Education. This beautiful image was shot at the Minnesota Landscape Arboretum! The Tamron SP 150-600mm G2 (Generation 2) ultra-telephoto lens with upgraded optical performance enables handheld shooting with remarkable definition, featuring better overall optical performance and faster AF speed, VC enhancements, plus Fluorine Coating and FLEX ZOOM LOCK. This new zoom combines smart engineering and high performance with quality craftsmanship, durability and user friendliness. Enjoy two Hours Private Photography Education with a talented instructor from National Camera Exchange. Instruction can be scheduled at a custom time and National Camera retail location that suits you! Topics you may choose to learn with Ashley may include Macro, Landscape, Wildlife, Editing using Adobe Software, and more! This is the only lens+instruction package of this kind available for sale at the Arboretum! This lens is available for pick-up only on the night of the Jim Brandenburg/Michael Monroe performance, either October 12 or 13, 2016. It will be held for you under your name at the Arboretum Gift & Garden Store. Instructions on how to contact National Camera Exchange to schedule your instruction will be included with the package. Thanks to Tamron and National Camera Exchange for their generous donations of these products to benefit Minnesota Landscape Arboretum Education. Thursday, October 13, 2016; 6:30 p.m. - 9:00 p.m.
Minnesota is home to one of the most prolific wildlife photographers in the world. An internationally acclaimed nature photographer and established environmentalist, this quiet and contemplative photographer began his creative journey as a newspaper photojournalist before he became a contract photographer for National Geographic Magazine in 1978. Over the course of his long career, Brandenburg has received a multitude of prestigious national and international honors for his work. The National Press Photographers Association (NPPA) twice named him Magazine Photographer of the Year for his National Geographic magazine work. He was named Kodak Wildlife Photographer of the Year by BBC Wildlife Magazine and the Natural History Museum-London, and was the recipient of the Lifetime Achievement Award by the North American Nature Photographers Association (NANPA). Brandenburg was a Hasselblad Master in 2002, a Nikon Legend Behind the Lens in 2001, and Canon Explorer of Light 2005-08. Michael's unique creation of Minnesota Northwoods-inspired music leaves his audiences mesmerized as he blends his rich vocals, guitar, bamboo and glass flutes, combining musical styles of acoustic folk and jazzy reggae. Michael's original music and compelling energy bring a powerful style that is as much fun as it is innovative...music and technology working together powered by creativity... and he recycles ("loops") his music LIVE on stage. His instrumental music is seen across the nation on PBS and Canada in the award winning documentary, "Chased By The Light", about Jim Brandenburg. Both artists live on the North Shore of Minnesota and have a love of Minnesota as well as the awe-inspiring beauty of the nature found in the state. With similar interests and passion for wildlife and nature, these two artists are good friends who work together to create a collaborative presentation that combines Brandenburg's visuals and stories together with Monroe's inspiring acoustics.